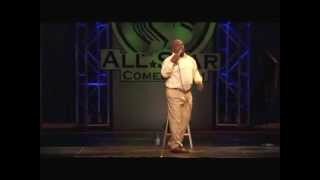 ARNEZ J Rapidly becoming one of the most talked about comedians, Arnez J"s charisma and physical agility are unforgettable. With the physicality of Jim Carey, his brand of comedy has dubbed him "the black Jerry Lewis". In Keeping with his plan, Arnez keeps up a dizzy pace performing for sold out crowds in clubs, colleges and concert halls across the country!